Product Life Cycle Management (PLM) software allows companies to manage the entire life cycle of a product efficiently and cost-effectively, from ideation, design and manufacture, through service and disposal. 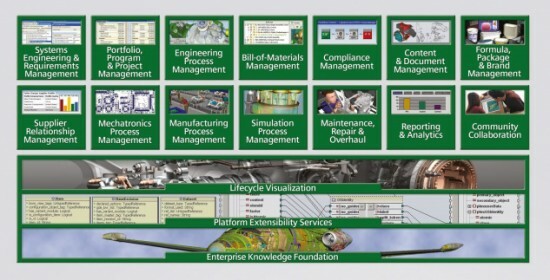 Computer-aided design (CAD), computer-aided manufacturing (CAM), computer-aided engineering (CAE), product data management (PDM) and digital manufacturing converge through PLM. Ayoka is a Siemens partner for Teamcenter and Siemens PLM Software. PLM is unique from other enterprise software solutions because it drives top-line revenue from repeatable processes. By providing the application depth and breadth needed to digitally author, validate and manage the detailed product and process data, Teamcenter supports continuous innovation. How will Teamcenter help your company? Drive Productivity through a single source of product and process knowledge: You can use Teamcenter to establish a single source of product and process knowledge drawn from highly disparate authoring systems. Entitled members in your product teams can access this source to quickly find the information they need to perform their life cycle functions. Take Control of the Life-cycle by powering end-to-end PLM: You cannot leverage your product life cycle as a business asset unless you have visibility into your entire life cycle. Teamcenter is the only PLM solution on the market today that addresses your product life-cycle from portfolio planning through product development, manufacturing, service/sustainment and retirement. Speed Return-on-Investment through lower cost of ownership: Teamcenter provides an easy-to-configure, service oriented architecture (SOA) that eliminates the need for costly customization and reduces integration, upgrade and training costs. Teamcenter’s open PLM foundation integrates third-party applications and capabilities with your existing processes to maximize productivity. Teamcenter’s Microsoft-like user interface and Microsoft Office application integration ensures user acceptance and a rapid return on your PLM investment. Deliver Success with proven global leadership: Teamcenter’s market-leading success ensures your company that Siemens PLM Software repeatedly delivers proven results in real-world, full-production settings. The world’s most successful companies use Teamcenter as a mission-critical system – proven by more than 5 million users worldwide. The top-level messages highlight PLM’s key differentiators in the marketplace.